Why Costa del Sol ? On the Costa del Sol there are many beautiful quality houses, villas and appartments for sale. Also called « the international playground of the rich and famous », this is the place where thousands of visitors and owners come to enjoy a better way of life. 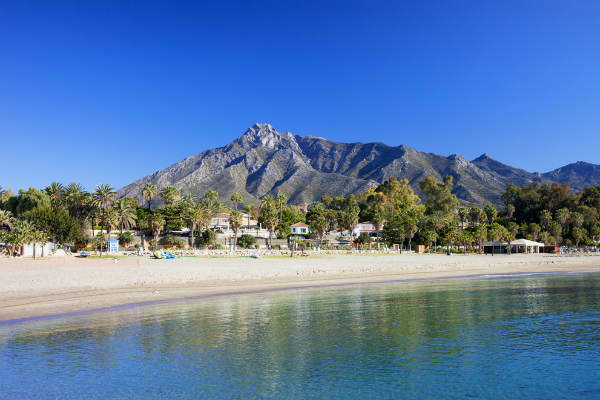 As well as the massive investment in infrastructure with shopping centres, restaurants, bars, airports, golf and sporting activities, you can enjoy the natural advantages of beautiful mountain backdrops gently sloping onto the miles of beaches fringing the Mediterranean. A couple of hours from the UK in a plane and you are in another world. You can relax in the sun during the day, go out to the beach or enjoy over 50 golf courses, and then at night have literally hundreds of restaurants and night-spots to guarantee you enjoy the balmy evenings. The Spanish Estate Agent is based in Estepona on the Costa del Sol. 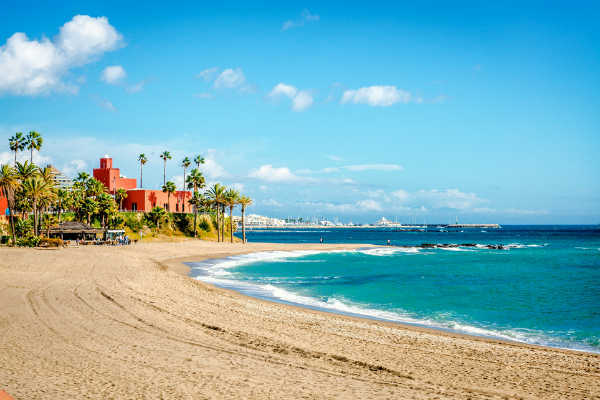 With over 10 miles of beaches together with fertile valleys and gentle mountains, the Estepona area boasts a micro-climate of 325 days of sunshine every year. Our properties for sale in Estepona include stylish villas with private swimming pools, contemporary apartments and penthouses with fantastic facilities including swimming pools, secure parking and beautiful views. 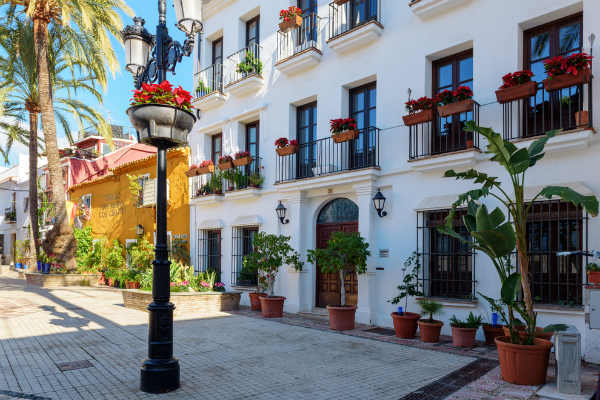 We all love the busy and dynamic Marbella and Puerto Banus, and in Estepona there is still the old style Spanish port, shops and tapas bars – a treasured reminder of its Spanish heritage. The working port is the centre for some of the best fish and seafood in the area. 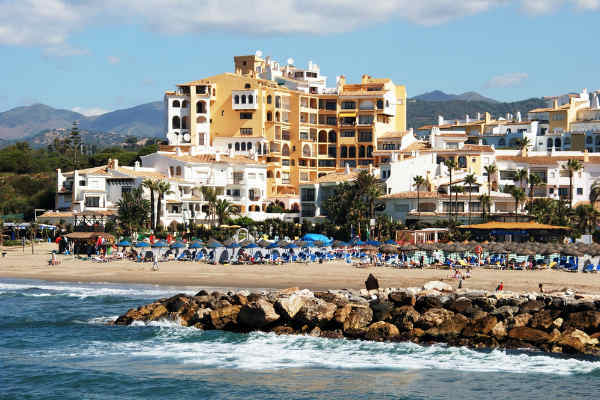 With two 'Blue Flag’ beaches, Estepona attracts families and holidaymakers all year round. It's no surprise that Walt Disney originally favoured the town as the location for its European theme park. 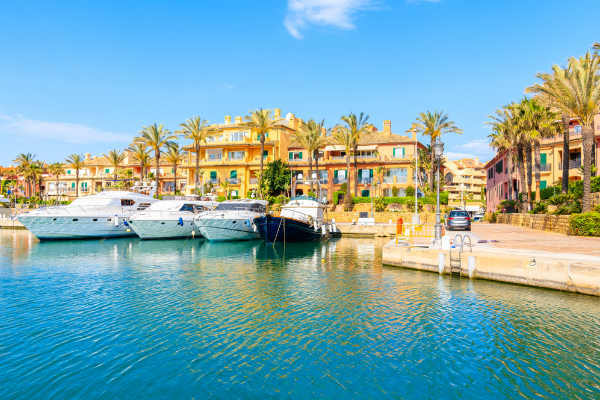 With our base in Estepona and thousands of properties for sale, we can help clients who want to buy into the well-established property markets of Marbella and Puerto Banus. 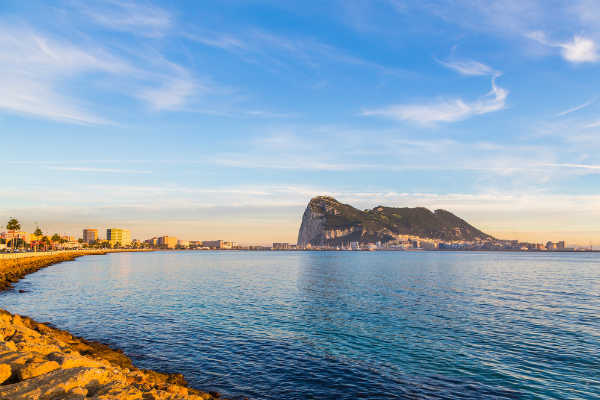 However, we are also ideally situated for clients who want to make the most of the very competitive prices of villas and apartments to the west towards Gibraltar. Get in touch with us today....it's your move to a perfect home in the sun. Hailed as the second Top City to visit in the world (Rough Guide 2015), Malaga's reputation is well deserved. 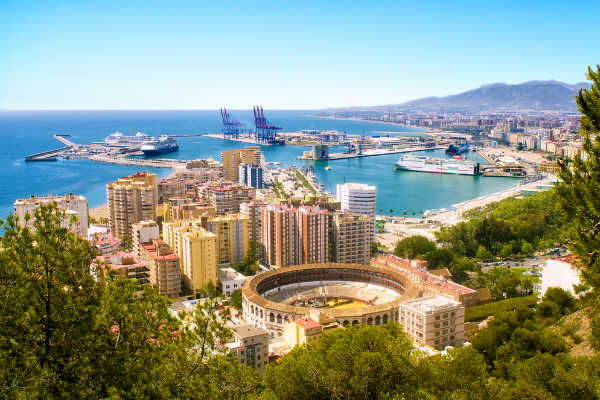 With its thriving cultural activities, fabulous climate and renowned hospitality, make sure you put Malaga on your list. Originally a little fishing village, this area is now a byword for year round sunshine and good living. 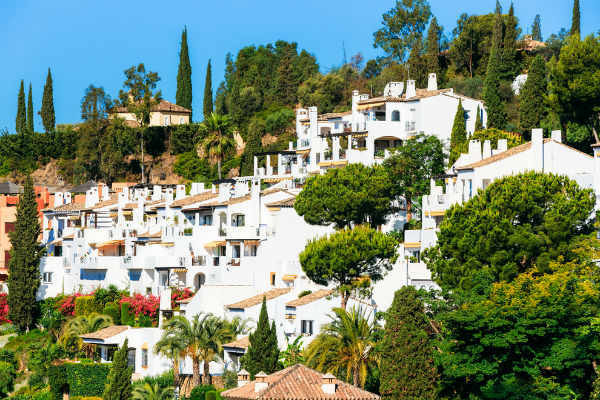 With its golf courses, 5 miles of sandy beaches, tapas bars and restaurants, you'll find everything you need for the good life on the Costa del Sol. The international playground of the rich and famous » was a phrase possibly coined for this area. People watching is a daily pastime, especially when done in one of the many fashionable bars, restaurants and shopping complexes. With its original 'pueblo' charm intact, you will love this bustling town with its original narrow streets lined with orange trees. Famous for the pretty floral displays on the houses, you can combine a day on the beach with wandering around the bars and restaurants. 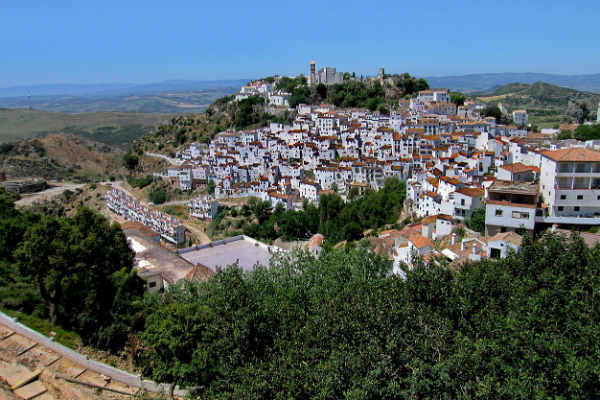 An area which includes the original Andalucian village in the hills and stretching down to the bustling coastal developments. With its extensive watersports activities to its many top quality golf courses, you'll find plenty to do here. From the busy central plaza to the wide beachside promenade, San Pedro has much to offer its visitors. Some of the most famous beachside bars and restaurants on the Costa del Sol are waiting to take your order! Not far from the International airport of Malaga, this area is famous for its visitors from all over the world. With a wonderful year-round climate, a rich cultural scene as well as a choice of cuisines of the world, you'll fall in love with this area from your first visit. If you are looking for a quiet beach area with some lovely restaurants in the true Mediterranean style, this is the place for you. A little bit off the beaten track, but with lots to offer its visitors all year round. An area with a rich history dating back to Roman times, here you will find pretty fishing villages and stylish marinas. Only minutes from the busy seaside towns of the Costa del Sol, but still retaining its Spanish heritage. This pretty mountain village is still only 7km from the coast and boasts some fabulous restaurants that draw visitors in from far and wide. It has an irresistible ambience, fantastic views and golf courses in the foothills, a real gem. 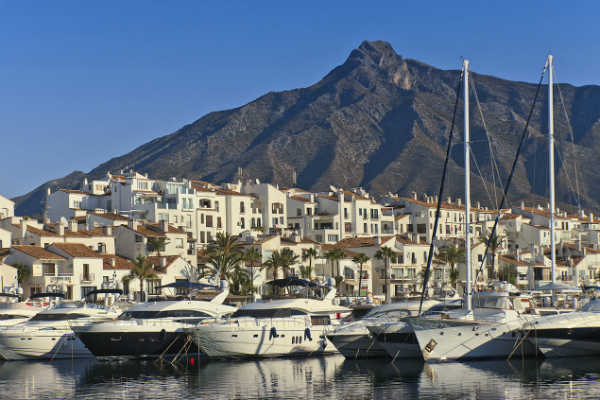 With a history dating back to Roman times, Marbella has been brought up to date as a holiday destination second to none. It is now famous for its beautiful beaches and fantastic gastronomic scene. A byword for international sports and leisure activities, this area was developed to make the most of beautiful beaches, stylish marinas and protected natural areas. This resort town area is known for its beaches, nightlife, dining and shopping. With a wonderful year-round climate, pockets of traditional Andalusian culture and golf courses, there's something for everyone here. Spain's alternative to St Tropez or Miami Beach? 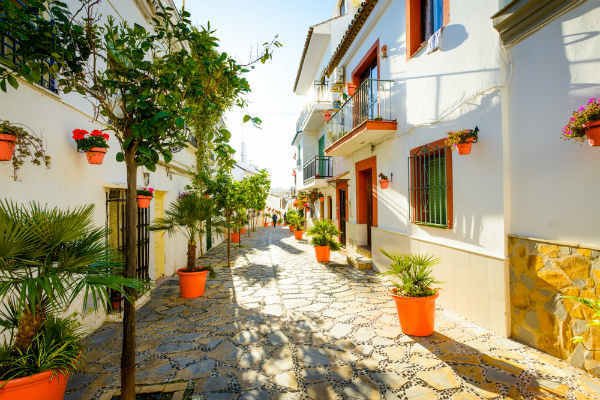 With flower filled plazas, narrow cobbled streets and the famous orange tree filled Plaza de los Naranjos, we feel Marbella stands apart from all the rest. The beautiful Bay of Gibraltar has a wealth of history and runs down to almost touch the continent of Africa. With its sandy beaches and fantastic wildlife areas (this is the place to see migrating birds), this area is influenced by the best of its Arabian neighbour across the sea.